When the “Silent Sam” Confederate statue was toppled at UNC-Chapel Hill last month, a flurry of text messages and emails began. The UNC Board of Governors. UNC-Chapel Hill Chancellor Carol Folt. UNC President Margaret Spellings. The University Police. After weeks of requests from media outlets, UNC-Chapel Hill last week released more than 800 pages of documents just two hours before closing operations of the university due to Hurricane Florence. As reported by WRAL, the documents reveal at least one member of the campus’ executive staff – Winston Crisp, Vice Chancellor for Student Affairs – expressing hope that the protesters would tear down the statue about an hour before it actually happened. But the unguarded evening text message, between Crisp and Assistant Vice Chancellor for Student Affairs Christi Hurt, revealed a crack in the facade of neutrality maintained by the school’s administration throughout the struggle over Silent Sam. While condemning the destruction of the monument, after its toppling, Chancellor Carol Folt said the statue’s prominent placement on campus was a threat to public safety and that it does not belong “at the front door” of the university. The comments have exacerbated distrust of Folt and other administrators among members of the conservative-dominated UNC Board of Governors. Several of its members publicly defended the statue before its toppling, criticized Folt and the UNC-Chapel Hill Police for not doing enough to protect it and have called for it to be restored to its original position on campus. After a tense closed session on the issue last month, the UNC Board of Governors asked Folt and the UNC-Chapel Hill Board of Trustees to craft a plan for the statue’s future, which will be submitted to the board by Nov. 15. How the fractured and combative board of governors may proceed isn’t yet known and many of its members’ thoughts and discussions on the issue are still a mystery. The documents released last week by UNC-Chapel Hill did not include emails between board members on the subject. The UNC system office is the custodian of those records. Despite repeated requests under the Freedom of Information Act, the UNC system office has yet to produce UNC Board of Governors’ emails from the period leading up to the statue’s toppling and its aftermath, denying media outlets and the public a look at high-level discussions in one of the most explosive and divisive periods in the university’s history. On Aug. 20, the morning after the statue was toppled, Policy Watch requested all UNC Board of Governors emails discussing the event as well as those of Spellings and Folt. Requests were made through Jason Tyson, director of media relations for the UNC system. Nearly a month later, no documents have been produced. Tyson cited computer problems and assured Policy Watch that the the records were being assembled. Almost two weeks later, no documents have been produced. Policy Watch is far from alone in this experience. 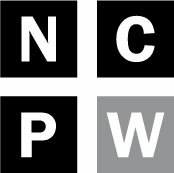 Mike Tadych is counsel to the North Carolina Press Association. In an interview last week, Tadych said he’s heard from a number of people and media organizations who have requested documents related to Silent Sam and who have been stonewalled by the university. Before last week’s release from UNC-Chapel Hill, Tadych said a coalition of them were considering a lawsuit to procure the information – nearly all of which should be publicly available. With few exceptions or redactions, e-mail, text messages and video related to the statue’s toppling should be available. A month is longer than would be considered reasonable for something as simple as an email request, Tadych said. In January, Policy Watch obtained a trove of Board of Governors emails related to ongoing conflicts on the board. It took more than three months and the threat of legal action to get them. Earlier this year, the North Carolina Court of Appeals found in favor of a similar coalition of media organizations that sued the university over records related to sexual misconduct. That legal battle began in 2016. Amanda Martin, another lawyer representing the press association, said the university system needs to re-examine the way it is dealing with public records requests. With an issue as high profile and incendiary as Silent Sam, Martin said transparency is especially important. 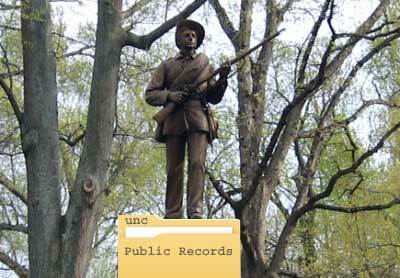 UNC isn’t the only entity slow-walking public records requests on the Confederate statue controversy. Earlier this month, the North Carolina Historical Commission voted not to recommend removal of three Confederate statues in downtown Raleigh. But with the commission’s appointed members spread out across the state and some abroad over the summer, discussion on the issue and recommendations from members of a task force on the issue happened by email before the final vote. On July 30, Policy Watch requested emails between board members on the issue. Michelle Walker, spokesperson for the Department of Natural and Cultural Resources, explained that the board’s members do not actually use government email addresses. Instead, they use their personal emails for communication about board business. Because of this, the department has no way to independently produce their emails without asking the board members themselves. Last week, more than a month and a half after the original request, none of the emails had been produced. Walker said she wasn’t sure about the status of the request. The board’s chairman is aware of the outstanding request, Walker said, and any relevant records will be produced. While it’s not unheard of for political appointees to use personal emails, Martin said it’s important that officials realize that they are responsible for keeping those emails as public records and turning them over in a timely way when they are requested. As part of his practice, Tadych said he has represented lower level public boards before. He always advises them to treat emails carefully and to realize that they’re public records regardless of whether they come from government or private emails. In the one case where he could recall a member of such a board withholding e-mails from those who requested them, he had simple advice.